Highways without speed limit or the famous Oktoberfest? Yes, of course, but Germany offers much more! 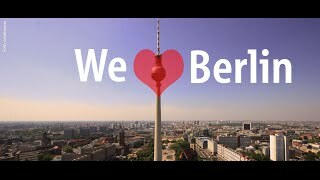 It is a popular center of innovation with the seal “Made in Germany”, an impressive history, one of the founder countries of the European Union, the place to be for international tradeshows like the IAA or the IFA. It boasts relaxing landscape with the mountains in the south and the sea in the north on the one hand and vibrant metropolises like Berlin, Munich, and Hamburg on the other hand. No matter for which purpose or event you are looking for the right destination, you will find what you need in Germany. One of the biggest international airports in Europe is located in Frankfurt for flying to Germany from all over the world, but also Berlin or Munich are very well connected. You won’t forget your first trip to Germany, and believe us, it won’t be the last one. Discover the heart of Europe with all its fascinating regions! Liberty Germany is present with offices in Berlin and Munich, but no need to say that we know the entire country. Founded more than 20 years ago, Liberty Germany has accumulated extensive knowledge of the destination. Specialized departments offer services for FITs, leisure groups, and MICE clients. We can book a single hotel room, organize a fascinating incentive trip, or host a conference with several hundred or more than thousand participants. Our project managers all speak fluent English as well as other European or Asian languages.